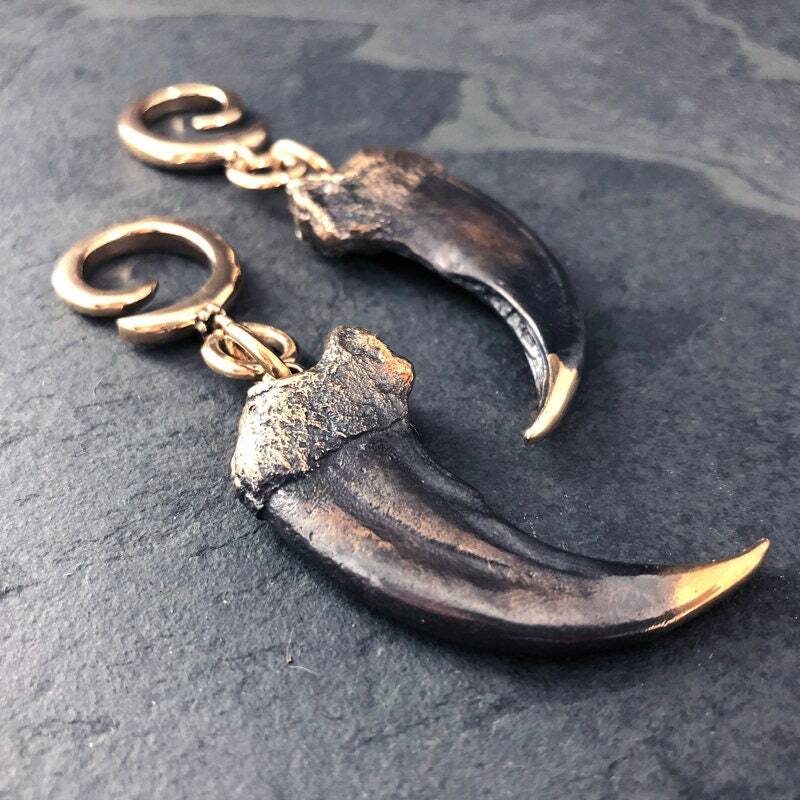 This listing is for one pair of our new Black Bear Claw Ear Weights in Bronze. Each Bear Claw is cast in bronze from a real bear claw, and then blackened to give it a raw, antique feel & look. The Spiral Gauges are for a minimum 6g stretched ear lobe, and these earrings weigh 30 grams each, giving a nice heavy pull, but not TOO much! All our jewelry is hypo-allergenic as we have a process of plating all our bronze so that they do not tarnish or turn your skin green. 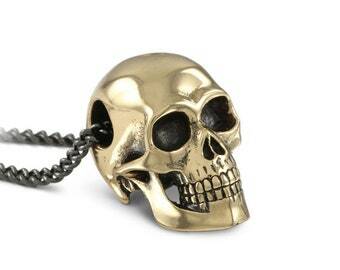 Perfect for our Ear Weights. Like the claws, just wish they (and the other ear weights) were a bit more cheaper, else I would’ve bought a lot more. (Also as a note, the hooks can be a tad hard to loop through from the opening, but still managaeble nonetheless).